I don’t like coffee much. I can easily pass up Starbucks, forego making coffee at home, and steer clear of the pot in the office. But one thing I do love, and am grateful for this week, is a cup when I am out to breakfast. I don’t do it much (perhaps why I appreciate it so much?) 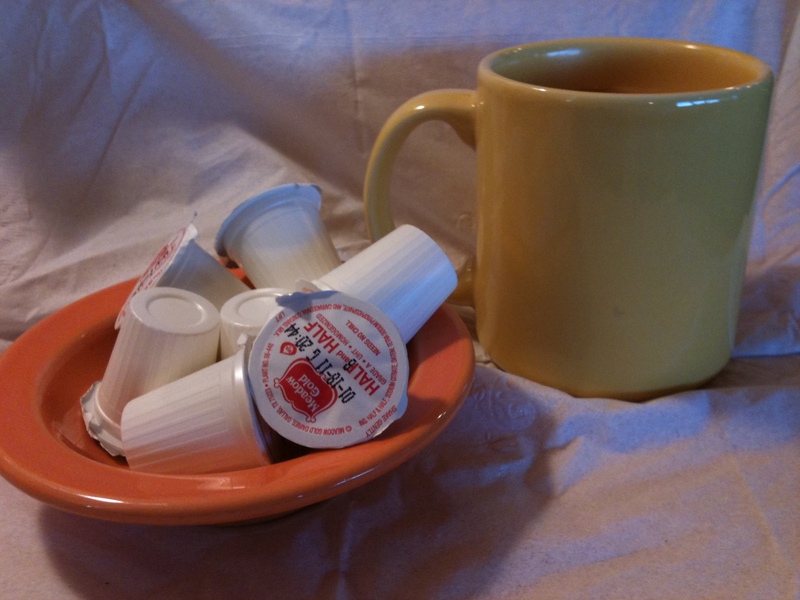 but I love the faux – Fiestaware mugs, the tiny creamers, and the clink clink clink of my spoon going ’round. I’m grateful for the waitresses who call me “hon” and who aren’t shy about topping off the mug. So thanks fod breakfast joints and the waitresses who work there, thanks for 99 cent cups of coffee, and thanks for the folks who share a cup with me.